GNOME is one of the more efficient desktops on the market. And unlike much of the mainstream competition, it’s quite customizable. How? Extensions. The GNOME developers have created an incredibly easy method for adding different features to the desktop. Many of these features help customize the look and feel of GNOME, while others go a long way to help the user be more productive. 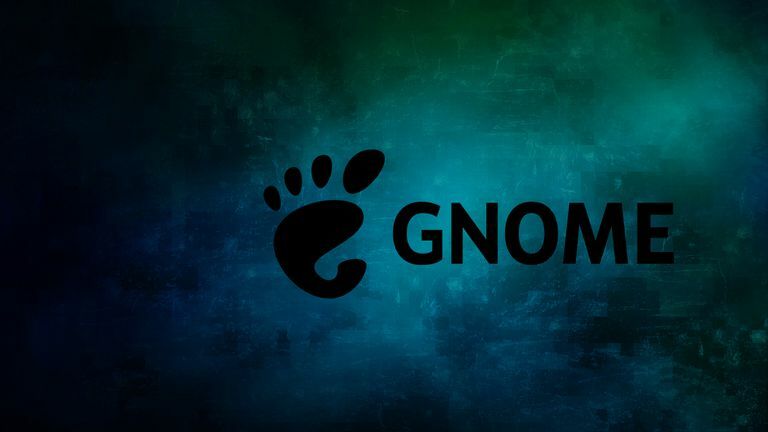 Let’s take a look at the 10 best GNOME extensions for 2019. The Dash to Dock extension is one of the first many GNOME users install. What this does is create a handy dock from the GNOME Dash favorites bar. This means all those favorite application launchers you have added to the Dash are even more easily accessed. Instead of having to first open the Dash, those launchers are always at the ready. For any user who prefers the standard desktop metaphor, this extension is a must have. Makes launching apps even faster. There’s nothing to not like about Dash to Dock. If you prefer a more standard “Start Menu” on your desktop (as opposed to GNOME’s Overview), you’ll want the Applications Menu extension. This extension offers a very efficient, categorized start menu for the GNOME desktops. It also includes the Favorites from GNOME Dash, so you not only can navigate through a menu of categories, you can launch your favorites with a single click. Menu is immediately familiar to any level of user. If you’re one who needs to have quick access to a todo list, this extension will be right up your ally. It has nothing in the way of bells and whistles, as it is just a very basic todo list that functions as a drop-down from the top panel, where you can add todo entries and even sub-entries. The sub-entry function is very handy when you need to collect things like shopping lists. If you use a terminal in Linux, you might consider adding the Drop Down Terminal extension. With this extension, you only have to hit the default hotkey (the ~ key on your keyboard) and a terminal window will drop down from the top of the screen. Use the terminal however you need, and then hit the hot key again to hide Drop Down Terminal. Convenience of quick access to terminal. There’s nothing to not like about this extension. Who doesn’t like (or need) to have quick access to weather information. You’ll find no better GNOME extension than OpenWeather. This extension offers a drop-down from the center of the GNOME top bar, that displays plenty of information about today’s weather, as well as the forecast for the next day. You can add multiple locations and configure a number of options. Outstanding overview of weather information. Ability to add more than one location. Not much in the way of appearance configurations. For those that need access to numerous clipboard entries (so you’re not always having to go back and re-copy things), Clipboard Indicator is a handy extension to have installed. With this extension installed, when you copy a piece of text, it will be added to a drop-down list, where you can select it to be copied. Once select, the entry is copied and is ready for pasting. You can manually delete an entry and even star an entry to keep it at the top of your list. Configure history size to keep more than the default 15 entries. Quick access to multiple copied entries. No way to configure transparency or other theme options. If you like a bit of old-school eye candy, you’ll love having a Coverflow way to step through open windows. Once installed, hit the Alt+Tab key combination to iterate through your open windows. Once you’ve found the window you want to work with, release the keys and you’re ready to go. There’s nothing to not like here. If you’re a fan of using Linux desktop workspaces, you’ll love this extension. With Workspaces to Dock, you get a dock on the right edge of your desktop that offers quick access to all your virtual workspaces. Naturally this extension will only be of interest to those users who tend to make use of virtual workspaces. Makes working with virtual workspaces easy. Only of use to those who prefer virtual workspaces. For those that spend a lot of time playing music from their desktops, you’ll appreciate this handy extension. Media Player Indicator gives you a drop-down menu that shows what’s playing and allows you to control the playback of the file. This extension works seamlessly with the default GNOME media player, as well as MPRIS Version 2 capable media players. Quick control of media playback. Ability to position the drop-down control on the GNOME top bar. Add other control widgets (volume slider, playlists, tracklists, and more). Cannot change look and feel. If you spend a lot of time going back and forth to a web search, this extension is for you. Once installed, all you have to do is hit the Ctrl+spacebar key combination to bring up a web search bar. Type your search string and hit enter to open your default browser to the search results. This extension will save you the step of first opening your browser, in order to run a quick web search. Fast access to Google search results. Works with your default web browser. Ability to change search engines. No way to make it search local files.